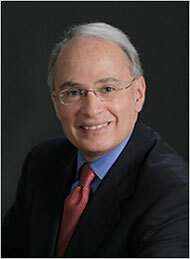 But e-mail messages and internal documents from Johnson & Johnson made public in a court filing reveal that Dr. Biederman pushed the company to finance a research center at Massachusetts General Hospital, in Boston, with a goal to “move forward the commercial goals of J.& J.” The documents also show that the company prepared a draft summary of a study that Dr. Biederman, of Harvard, was said to have written. Johnson & Johnson makes a popular antipsychotic medicine called Risperdal, or risperidone. More than a quarter of its use is in children and adolescents. Last week, a panel of federal drug experts said that medicines like Risperdal were being used too cavalierly in children and that regulators must do more to warn doctors of their substantial risks. Other popular antipsychotic medicines, also referred to as neuroleptics, are Zyprexa, made by Eli Lilly; Seroquel, made by AstraZeneca; Geodon, made by Pfizer; and Abilify, made by Bristol-Myers Squibb. Thousands of parents have sued AstraZeneca, Eli Lilly and Johnson & Johnson, claiming that their children were injured after taking the medicines; they also claim that the companies minimized the risks of the drugs. As part of the lawsuits, plaintiffs’ lawyers have demanded millions of documents from the companies. Nearly all have been provided under judicial seals, but a select few that mentioned Dr. Biederman became public after plaintiffs’ lawyers sought a judge’s order to require Dr. Biederman to be interviewed by them under oath. In a motion filed two weeks ago, lawyers for the families argued that they should be allowed to interview Dr. Biederman under oath because his work had been crucial to the widespread acceptance of pediatric uses of antipsychotic medicines. To support this contention, the lawyers included more than two dozen documents, among them e-mail messages from Johnson & Johnson that mentioned Dr. Biederman. A judge has yet to rule on the request. The documents offer an unusual glimpse into the delicate relationship that drug makers have with influential doctors. In a November 1999 e-mail message, John Bruins, a Johnson & Johnson marketing executive, begs his supervisors to approve a $3,000 check to Dr. Biederman as payment for a lecture he gave at the University of Connecticut. A series of documents described the goals behind establishing the Johnson & Johnson Center for the study of pediatric psychopathology, where Dr. Biederman serves as chief. A 2002 annual report for the center said its research must satisfy three criteria: improve psychiatric care for children, have high standards and “move forward the commercial goals of J.& J.,” court documents said. “We strongly believe,” the report stated, “that the center’s systematic scientific inquiry will enhance the clinical and research foundation of child psychiatry and lead to the safer, more appropriate and more widespread use of medications in children. “Without such data, many clinicians question the wisdom of aggressively treating children with medications, especially those like neuroleptics, which expose children to potentially serious adverse events.”A February 2002 e-mail message from Georges Gharabawi, a Johnson & Johnson executive, said Dr. Biederman approached the company “multiple times to propose the creation” of the center. “The rationale of this center,” the message stated, “is to generate and disseminate data supporting the use of risperidone in” children and adolescents. “I will review this morning,” responded Dr. Biederman, according to the documents. “I will be happy to sign the forms if you could kindly send them to me.” The documents do not make clear whether he approved the final summary of the brief abstract in similar form or asked to read the longer report on the study. Drug makers have long hired professional writers to compose scientific papers and then recruited well-known doctors to list themselves as the author. The practice, known as ghostwriting, has come under intense criticism recently, and medical societies, schools and journals have condemned it. In June, a Congressional investigation revealed that Dr. Biederman had failed to report to Harvard at least $1.4 million in outside income from Johnson & Johnson and other makers of antipsychotic medicines. In one example, Dr. Biederman reported no income from Johnson & Johnson for 2001 in a disclosure report filed with the university. When asked by Senator Charles E. Grassley, an Iowa Republican who is leading the Congressional inquiry, to check again, Dr. Biederman said he had received $3,500. But Johnson & Johnson told Mr. Grassley that it paid $58,169 to Dr. Biederman in 2001. A Harvard spokesman, David J. Cameron, said Monday that the university was still reviewing Mr. Grassley’s accusations against Dr. Biederman. Mr. Cameron added that the university had not seen the drug company documents in question and that it was not directly involved in the child psychiatry center at Massachusetts General. Calls to Dr. Biederman were not returned.